Tucson artist Kati Astraeir painted the mural which was commissioned by the Center for Biological Diversity as part of its Endangered Species Murals project. 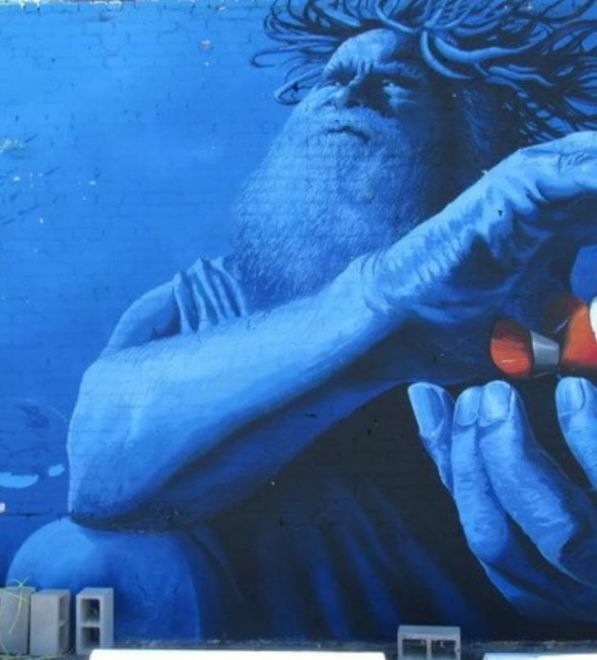 Art and science crossed paths in an especially riveting and beautiful way in this mural. This eight-foot high, 20-foot long mural of the endangered jaguar was unveiled in Tucson. The painting is a tribute to El Jefe, America’s only known jaguar, who lives just outside of Tucson area. The jaguar mural can be found at North Seventh and East Toole St. in downtown Tucson.